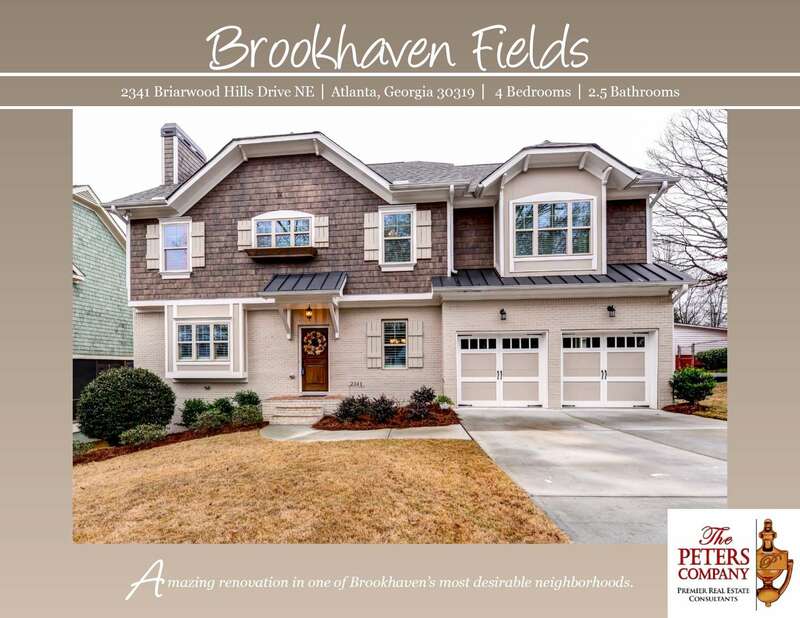 Just Listed :: Amazing Renovation in Brookhaven Fields! Welcome home! Nestled in the popular Brookhaven Fields neighborhood, this home has been totally transformed. You’ll truly love this amazing renovation with second story addition. The open floor plan, custom features, and charming character of this home will never go out of style. The close proximity to Peachtree Road, I-85, and GA400 makes this home convenient to and from any direction. Being in the booming city of Brookhaven means you can enjoy nearby hot spots like Town Brookhaven and Village Place Brookhaven. Loaded with craftsman touches, custom features, and a great open plan. Kitchen features custom white pencil glazed cabinets, granite counters, stainless steel appliances, island, walk-in pantry, and spacious peninsula with breakfast bar. Separate dining room with coffered ceiling is perfect for entertaining. Hardwoods floors and plantation shutters are carried throughout the main level. Living room has a gas starter fireplace with stone surround. Master suite is a true retreat including an oversized walk-in closet and vaulted ceiling. Second floor loft area is ideal for a home office, playroom, or media room. Two car garage is a bonus for the area and price point. Dry storage and useful workbench in the unfinished exterior entry basement. ← Just Listed :: Charming Traditional Featured on Property Brothers!